These stylish earrings have been formed, fused and hammered by hand from the purest silver available (99.9%). One of my most artistic designs. 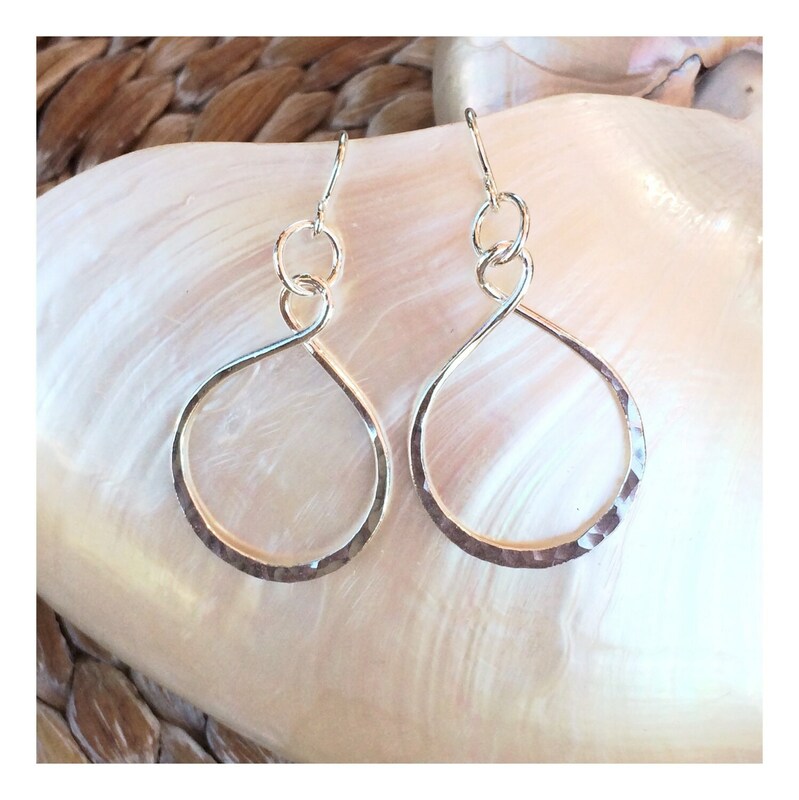 They hang from a simple sterling silver ear wire and measure approximately 1 3/4" in length. Professionally polished to a brilliant shine.